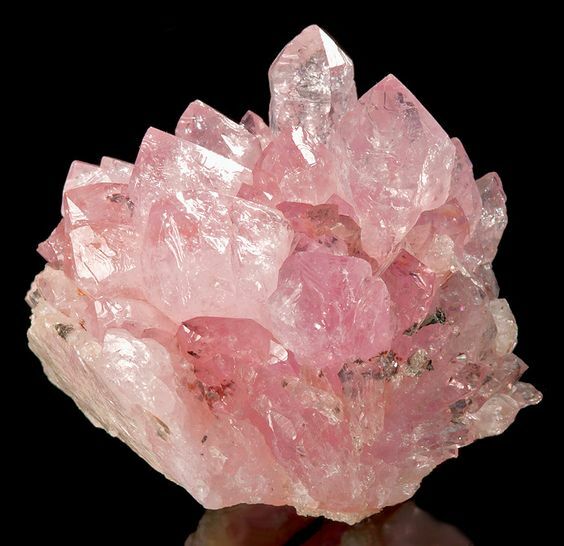 In honor of Valentine’s Day, we’re celebrating one of our favorite crystal specimens – Rose Quartz, & we promise it’s not just because it’s pink! 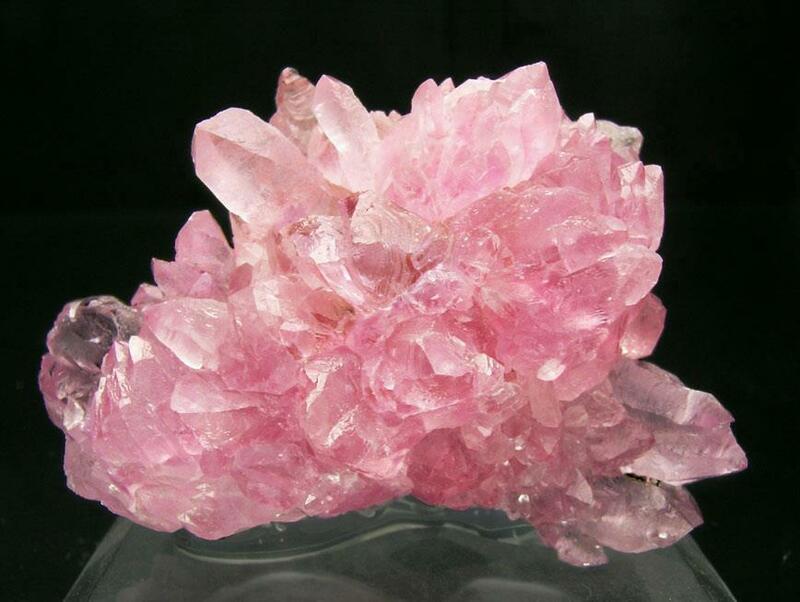 Also recognized as the love stone, Rose Quartz is ideal for working with all matters of the heart, whether it’s enhancing confidence, romance, platonic love, unconditional love, etc. 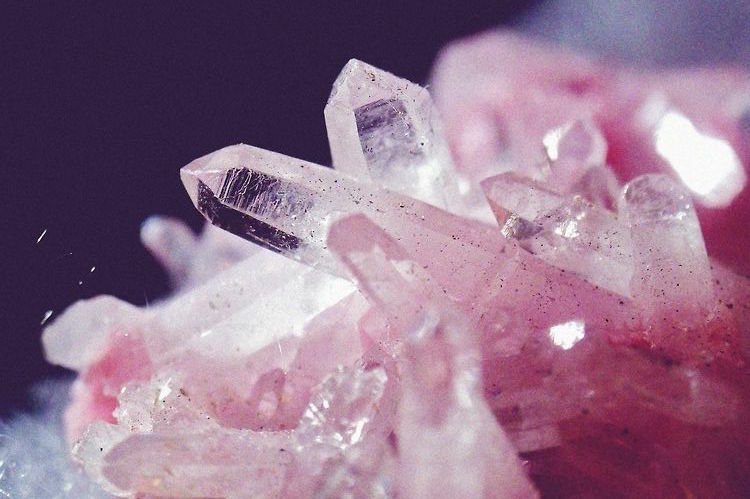 Love spells & charms aside, this beauty’s teaching energies encourage a strong sense of self-worth & self-esteem through emotional healing & warmth. & it’s just. so. beautiful. 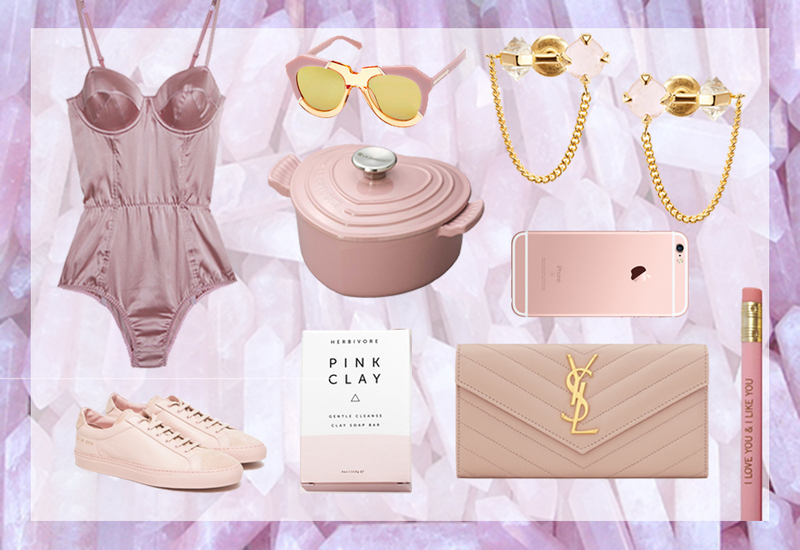 Achilles Premium Low sneakers via Need Supply; Satin Bullet Bodysuit via Opening Ceremony; One Splash Dusty Pink Sunglasses via Karen Walker; Heart Cocotte via Le Creuset; Pink Clay bar soap via Herbivore Botanicals; Asteroid Earrings via MANIAMANIA; Rose Gold iPhone via Apple; YSL Flap Wallet via Saint Laurent; I Love You & I Like You pencils via The Carbon Crusader. 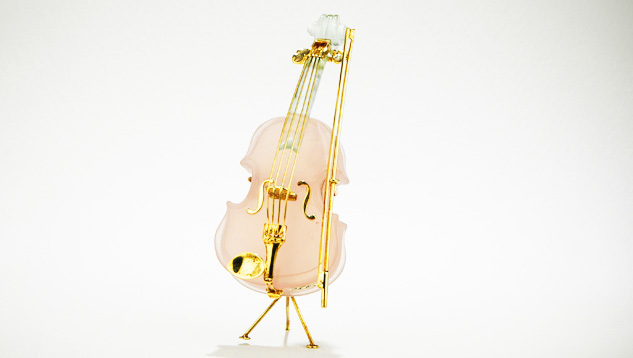 & lastly, we’re just going to leave this hand-carved Rose Quartz viola with 18K gold accents by Lothar Hermann here.